20 ton jack with gauge and hose with attachments. This is a standard height, Norco (made in Japan) Jack to be used with our standard 20 ton hydraulic press. This jack will also fit the Bonny Doon press. 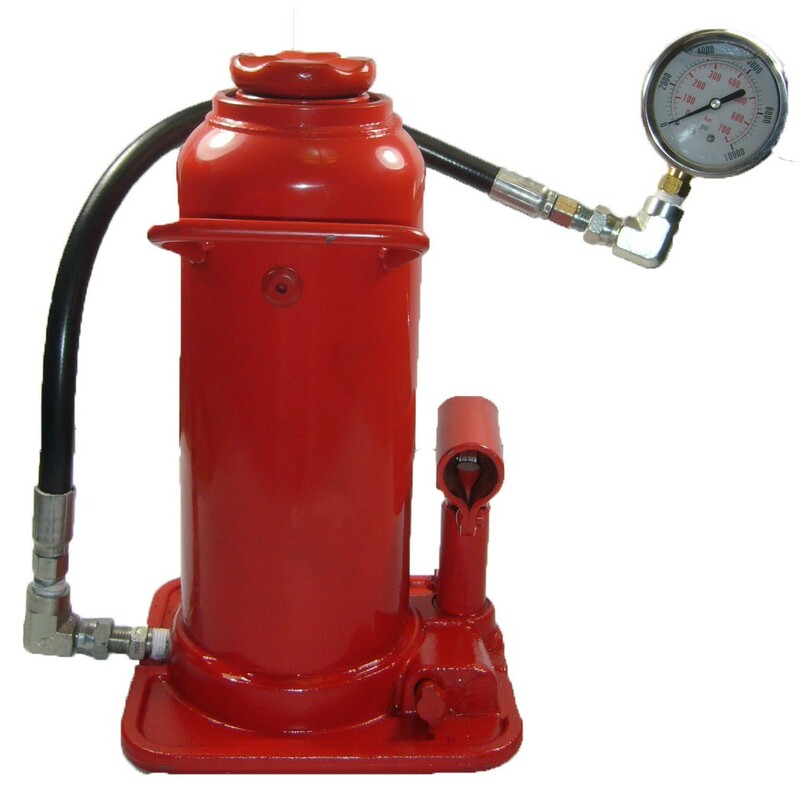 The gauge system incorporates a high pressure, 10,000 psi hose with special steel fittings designed to withstand high pressures. The gauge is a glycerin-filled 10,000 psi gauge. It too, will also work with the Bonny Doon jack. We can sell the gauge separately from the hose, just email us. INTERNATIONAL SHIPPING WILL COST MORE. Contact us for information.